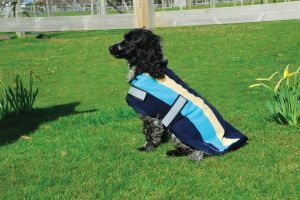 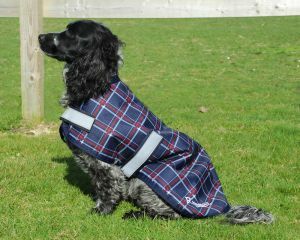 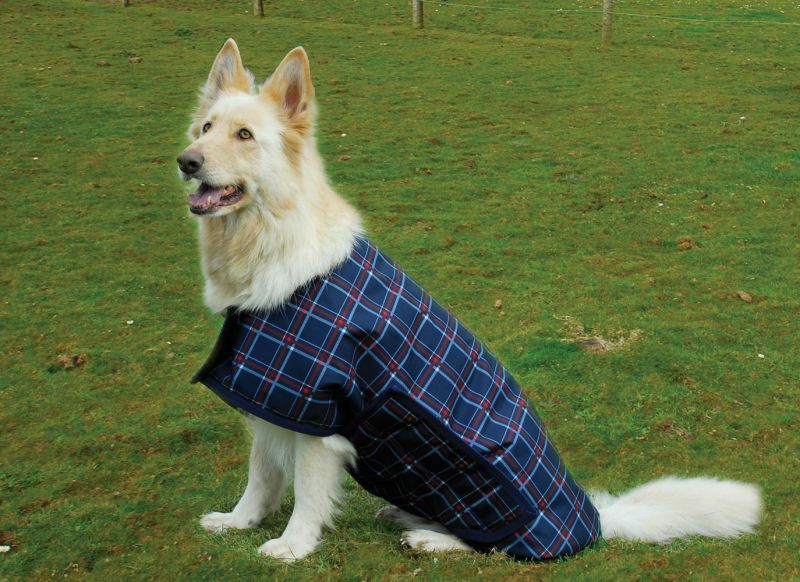 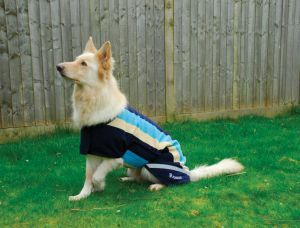 Waterproof padded dog coat with Velcro across chest and wide belly strap. 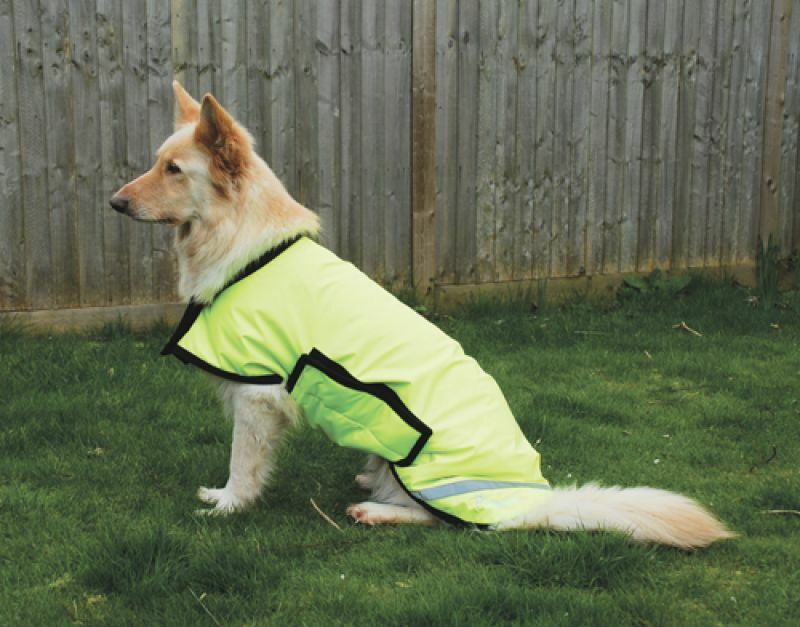 Reflective strap for extra visibility. 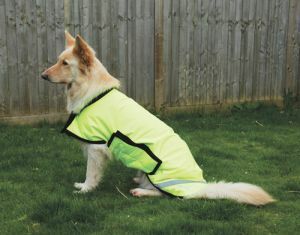 Breathable nylon lined for extra warmth and comfort with elasticated leg straps.